I want to make my life simple as possible. 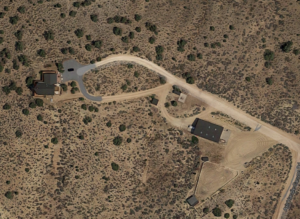 In the Reno area, I have a home at a condominium property called Fluer De Lis. 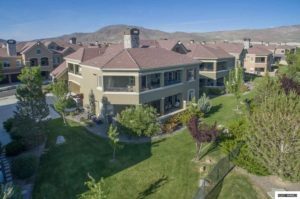 It’s in the South Meadows area of Reno and I truly find it to be a great place to live. For seventeen years I had a horse ranch property north of Sparks, Nevada in a place called Palomino Valley. It was about 20 miles outside of town and I really loved it when we first moved out there. The two lane highway that was just down the hill from our property was a wonderful road to shoot into town. In fact, we could make it into Reno or Sparks in less than 20 minutes. But, as Sparks grew, development came over the mountain and an area called Spanish Springs was annexed into Sparks and it became a massive growth spot for homes. Speed limits changed and the City of Sparks began installing stop lights and then commercial properties were developed. So, the City of Sparks allowed for the building of a Walmart and a Costco store in Spanish Springs. It was the first of both in the entire city of Sparks. Some might have welcomed the growth. We actually did not. Our little 20 minute or less commute into Reno was now over 45 minutes. This growth was occurring during at a time in our lives when our son was in high school. So, between the cars and trucks we had, our fuel bill was going through the roof! We were spending over $800 per mont to fuel our vehicles. It felt crazy and was really denting our lifestyles. Maybe it was time to sell the ranch. So we did. But did we want to move into Reno? It was going to be a tough move. Our first attempt at living in town was to rent a condo in South Reno. It was at a place on the Mt. Rose Highway at Wedge Parkway, called Fallen Leaf. The name amused me because I had spent much time as a kid in the area of Fallen Leaf Lake near South Lake Tahoe. (about 40 miles from Reno Nevada). So, we rented at Fallen Leaf with the idea of buying a unit there. Prices were a little depressed for Reno homes and condominiums at the time and I could have bought a unit for $130k. But, we weren’t sure – so we signed a lease for a year, extended it for a year and a half. In that time, the value of the units had near doubled. Crap. The unit that was $130k was now selling for $240k. The other twist was that we actually started to hate it there. The property was in a location that was loud, the upkeep was mediocre, and many of the units were being rented to low-lifes. So it was not as nice as I would have hoped. I needed to get out. 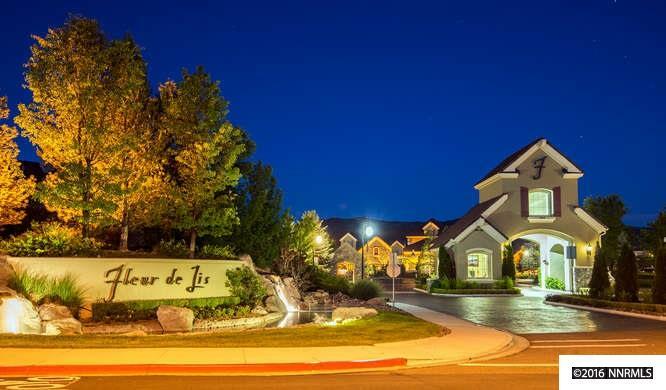 So we rented at Fleur De Lis of Reno. Nicer units. Incredible landscaping. Nine ponds with waterfalls and fountains. A beautiful clubhouse, and many more great amenities. We signed a year lease and immediately I wanted to buy the unit. The owner said that he would consider selling it to me after our lease was up. So we happily paid it for a year and found a place in Reno where we really enjoyed living. It was posh and the neighbors were quite nice. We enjoy get togethers, rolling parties, and many many clubhouse events such as a ‘first Friday’ happy hour every month. It really turns out that this place is super comfortable. Funny thing I’d noticed – more german luxury cars per square foot than any other place in Reno and Sparks. Seems like everyone here has at least one or more likely two BMW’s or Mercedes Benz. We jokingly say that this neighborhood is actually a very well disguised as an asylum for the affluent of Reno. I’m pretty sure that the majority of my neighbors are all millionaires and multimillionaires. So this is how I survive life living in town. I always disliked Reno. But here, in the South Meadows of Reno, I’ve found a little spot that I truly love living in. It drives my wife crazy because I have created a border for myself. It’s a street in Reno call South McCarran Blvd. I use it, in general, as my Reno cut off point. When I looked for a dentist, they had to be south of South McCarran. My doctor, fortunate for him, was on South McCarran. So, when my wife brings up a restaurant that we need to go try – my first question is, “is it north of South McCarran?”. She rolls her eyes and tries to explain that over 1/2 of Reno is north of my line. I’m not hard fast on my rule, but I like my cutoff. But then it came time to pick a chiropractor. I wanted a chiropractor in South Reno, but everyone of them that I looked up or called on, did not thrill me. I wanted someone personable. Someone that I would like and could imagine being a friend like my previous physician (who was a long time Reno doctor). I had dined with my previous doctor and his family. He and I had started to make plans to go sailing together. I knew his wife and his kid. I really wanted to have the same with a chiropractor. But all I was finding was chiropractic clinics that were pushing their clientele through like cattle. I already was having that experience with my Reno dentist. So, I was going to find a chiropractor that I would be comfortable with and I was willing to break my Reno border rule to do it. I found Reno Chiropractor, Curtis Potts at Mt Rose Chiropractic Clinic. Super nice guy with a small, personable clinic off of Moana Lane in Reno. Turns out, Curtis went to the same high school as me, moved to Reno and got his education at the University of Nevada Reno. He was going to be an orthopedic surgeon, but while in school had found that he wanted to concentrate on holistic and less invasive ways to treat back pain and neck pain than always delving into surgery. So he decided to become a very specialized chiropractor. From a personal standpoint, Curtis met my criteria for a medical professional. Personable, friendly, kind of person I could hang out with or have over for dinner. I’ve met his daughters, I’ve taken him out to lunch. He’s asked me to go skiing with him and I will someday. And I can imagine having him as a guest on our sailboat for day cruising or sharing a boat for a vacation away from Reno. So I found my chiropractor in Reno. And, his office is only one mile north of South McCarran Blvd. I’ll live with that so that I don’t feel like cattle at one of the chiropractic clinics in South Reno.